Contract manufacturer Novatel has been impressed with XJTAG’s user-friendly and cost-effective boundary scan solution, which the company now uses throughout the production cycle, from initial board testing to repair. The company uses a selection of testing tools, including optical and x-ray inspection, ICT, flying probe and functional tests. But it says that XJTAG boundary scan is now helping to significantly broaden its offer by allowing Novatel to test boards populated with ball grid array (BGA) devices, which cannot be tested by traditional methods. As Mario explains, Novatel selected XJTAG boundary scan because it offers a high level of reliable test coverage at a very competitive price. The solution is efficient because it can be used throughout the manufacturing process – from design to production. This means that faults are discovered at an early stage, which helps to reduce the time it takes to debug the board. XJTAG also makes it easy to write test routines for devices and allows users to store them in a library, so they can be reused again with a similar component. According to Mario, “the most valuable aspect of XJTAG is the ability to quickly gain enhanced test coverage”. Mario adds that XJTAG is currently being used on a standalone test station, both for production testing where access to the board is low, and to repair faulty boards that have been previously discarded. In the future, Novatel would like to integrate XJTAG with both the In-Circuit Test (ICT) and LabVIEW functional test stations, as well as rolling out the capability to its sub-contractor with XJTAG’s production-optimised run-time version, XJRunner. XJTAG can test a high proportion of a circuit (JTAG as well as non-JTAG devices) including BGA and chip scale devices, SDRAMs, Ethernet controllers, video interfaces, Flash memories, FPGAs, microprocessors and many other devices. XJTAG also enables in-system programming of FPGAs, CPLDs and Flash memories. XJTAG allows us to match current needs of our customer in terms of development time and this is very useful, especially if you have to test prototype boards. We think that XJTAG provides the best offer, in terms of performance, speed of development and cost. Furthermore, the technical staff are very helpful and effective in supporting customers. 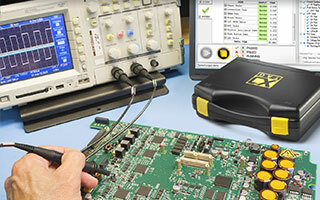 The most valuable aspect of XJTAG is the the ability to quickly gain enhanced test coverage. Naples-based contract manufacturer Novatel provides a wide range of services, working with its customers in the design, pre-manufacturing, manufacturing and post-manufacturing stages of building electronics-based products.